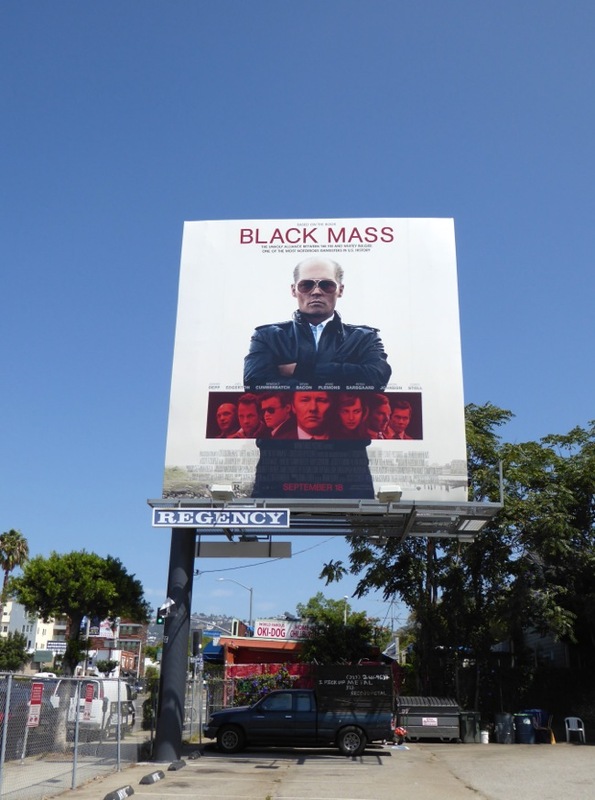 Johnny Depp is back in the skies of L.A., but this time he's not so lovable or quirky, as he plays a notorious violent Boston gangster in the new biopic Black Mass. 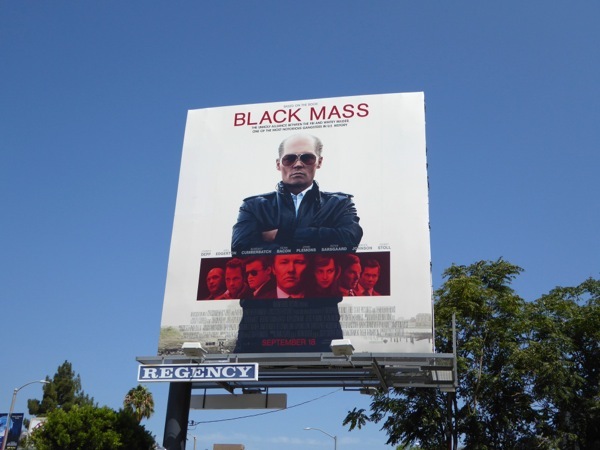 This time around he's transformed himself into cunning criminal and FBI informant, 'James "Whitey" Bulger', who's currently serving two consecutive life sentences for his involvement in 19 murders, plus extortion, racketeering and money laundering charges. 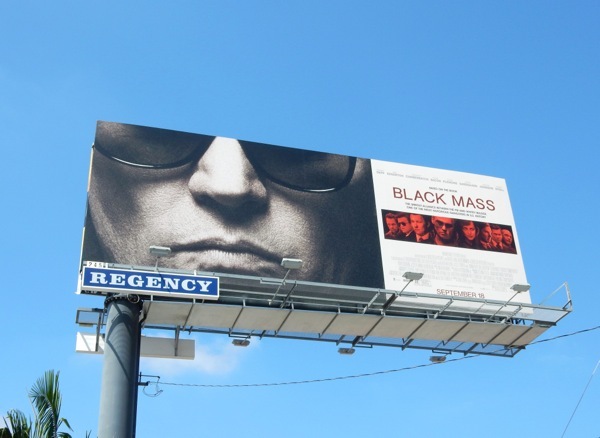 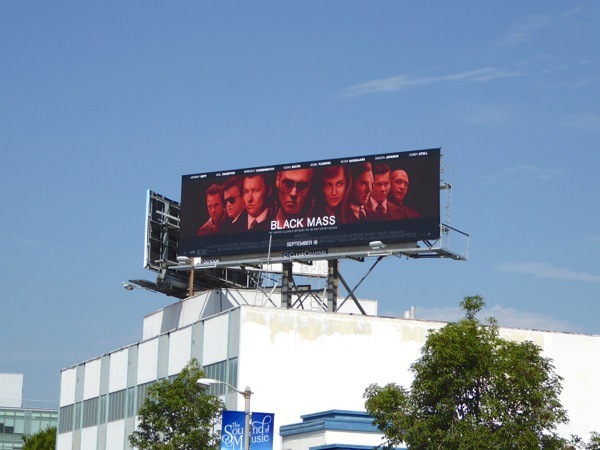 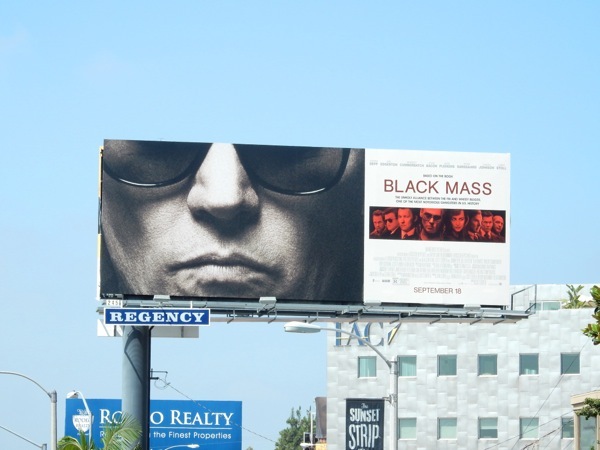 These intense Black Mass billboards were snapped above the Sunset Strip in West Hollywood on August 11, plus later along Fairfax Avenue on August 23, 2015. 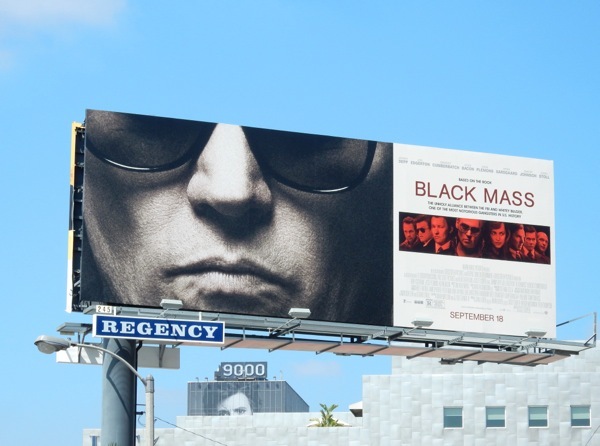 No stranger to filling the city skyline, if you're a fan of the actor, be sure to also check out these Public Enemies movie billboards from 2009, these Alice in Wonderland movie billboards from 2010, these giant Pirates of the Caribbean 4 billboards from 2011, these Dark Shadows film billboards from 2012, these billboards for The Lone Ranger from 2013 and even these Mortdecai movie billboards from earlier this year. 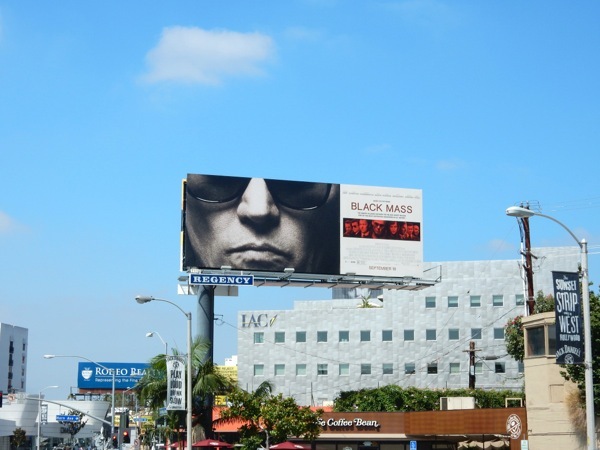 As you can see from his diverse body of work he's been busy (although not always enjoying box office success), but let's face it, the man is a chameleon. 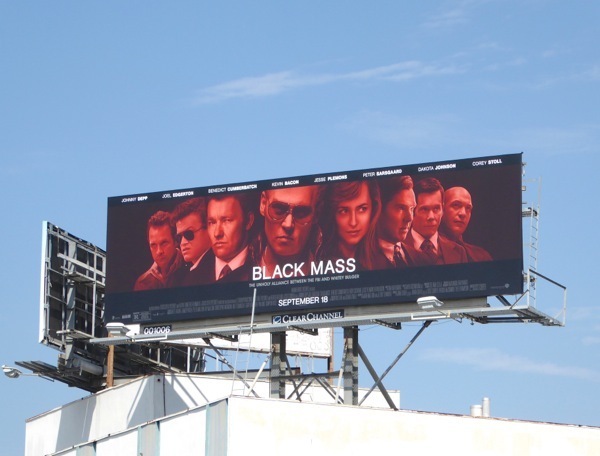 UPDATED: Here's another billboard version for Black Mass showcasing the other members of the cast, like Benedict Cumberbatch, Kevin Bacon, Dakota Johnson and Joel Edgerton. 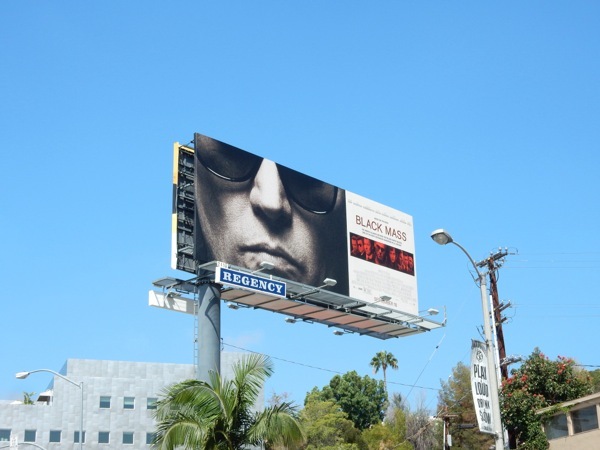 This blood red and black billboard was spotted high over Beverly Boulevard on August 26, 2015.